Created in 2010 by Microsoft co-founder Bill Gates, his wife Melinda and Berkshire Hathaway Chairman and CEO Warren Buffett, The Giving Pledge is an effort designed to help address society’s most pressing problems. By inviting the world’s wealthiest individuals and families to commit to giving more than half of their wealth to philanthropy or charitable causes either during their lifetime or in their will, the Giving Pledge is a moral commitment to give, not a legal contract. While it is specifically focused on billionaires, the idea takes its inspiration from other efforts that encourage and recognize givers of all financial means and backgrounds. The idea for the Giving Pledge came from thoughts and input generated from conversations that Bill, Melinda and Warren had with other philanthropists in the United States and beyond. 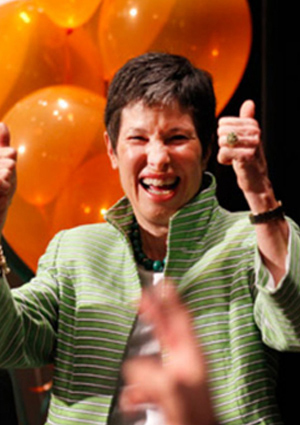 Lyda Hill first committed to The Giving Pledge in October 2010. She renewed her commitment in September 2014 by sharing her most current thoughts on philanthropy in a letter to Bill, Melinda and Warren.